To succeed in a market or industry, organizations need to objectively analyze the underlying forces, attractiveness, and other success factors. They often seek outsiders’ assistance to bring fresh perspective, insights, and recommendations. The external contractors commence the engagement by carrying out a detailed industry analysis. The industry analysis facilitates in identifying potential opportunities, threats, and the current and future scenarios of the industry. The consultants use this tool to help their clients with valuable insights needed to acquire, maintain, and improve their position in the market. 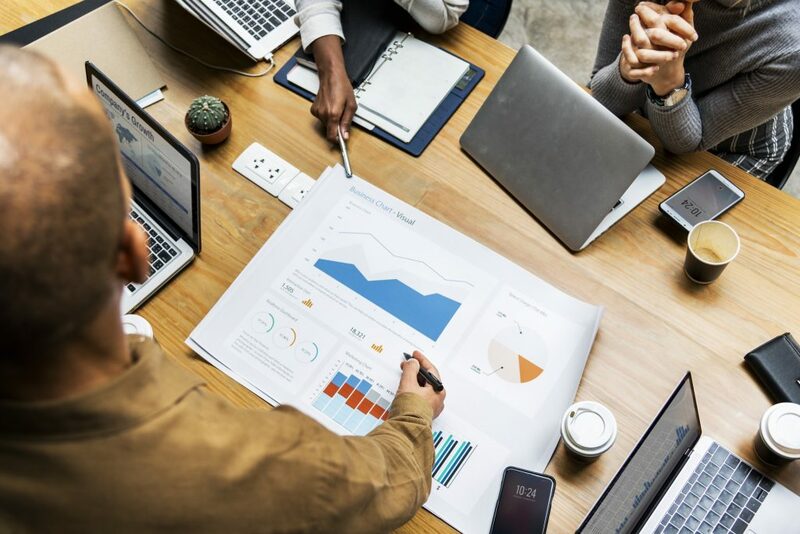 Industry analysis is a critical part of strategic planning and it should be taken very seriously as it has a strong impact on the reputation of the consultants. Presenting the deck to the client under their own name. The consultants who do not put in much effort in undertaking the industry analysis should realize that making a summary of the reports available online could point to outdated and erroneous market analysis, and that every analysis has a message that can’t be interpreted by the audience on their own. It is the job of the consultant to interpret, communicate, and present it to the client in an organized manner. This is where a structured approach to industry analysis helps. First and foremost, it entails knowing what is required from the engagement and finding the “objective function”—i.e., analyzing trends in order to uncover solutions to questions that are to be answered. For instance, for a Corporate Strategy & Transformation study, the objective function could be understanding the leading trend shaping the region that should be responded to. The consultants should then figure out whether the trend will impact the demand side or supply side. Next, a storyboard needs to be developed to present the trends and their impact in a professional manner. The industry analysis exercise is incomplete without desktop analysis and extensive internal and external stakeholder interviews (external interviews should be approved by the client upfront to avoid any hassle later on). 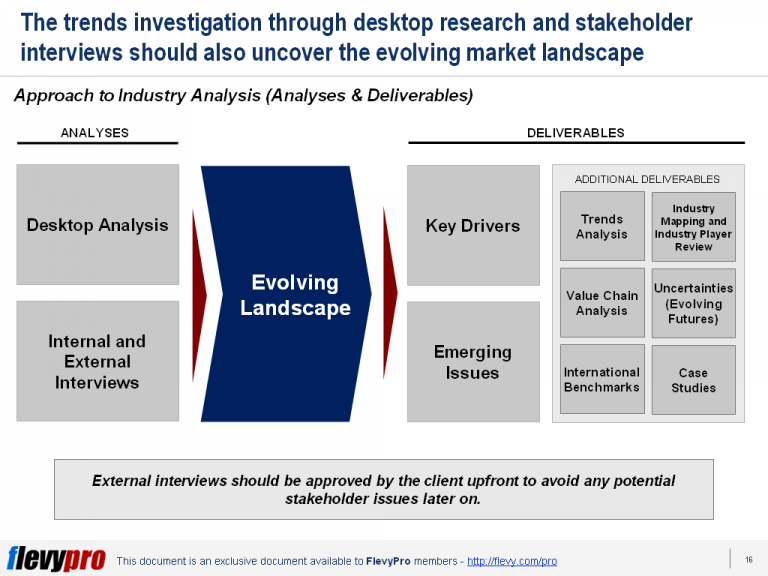 The elements that the consultants should investigate through the interviews and desktop research include the forces shaping the market, potential challenges, value chains, key drivers impacting the industry, suppliers, and competitors’ strategies and tactics. The industry analysis assignment should be taken seriously. Don’t rely merely on your credentials and past experience at top consulting firms. Never settle for anything mediocre or low quality. An industry analysis done by just copying and condensing other’s external reports, and presenting them to the client in a flashy presentation is simply unethical. Innovative ideas and approaches initiate from original work. Interested in knowing more about how to go about the Industry Analysis? You can learn more and download an editable PowerPoint on the Industry Analysis for Consultants here on the Flevy documents marketplace.